At E3 I had the opportunity to sit down with both Frank “Bo” Dewindt II (Director of Production) and Mina Hirano (PR & Marketing Coordinator) from Aksys Games for a little bit and learn about four new games that would be coming out later this year – BlazeBlue: Chrono Phantasma Extend, Xblaze Lost: Memories, Code:Realize: Guardian of Rebirth, and Norn9: Var Commons. One of the things that intrigued me the most about this lineup was the fact there were three Visual Novels among the bunch, with two being Otome Novels. While the Visual Novel is something that’s seen its elements become adopted into various games over the years, the Otome Novel is something that up until recently was uncommon in the West, but is starting to see its popularity grow recently. With this in mind, I reached out to Bo and Mina once again to ask some more detailed questions. Aksys seems to have a love of Visual Novels. 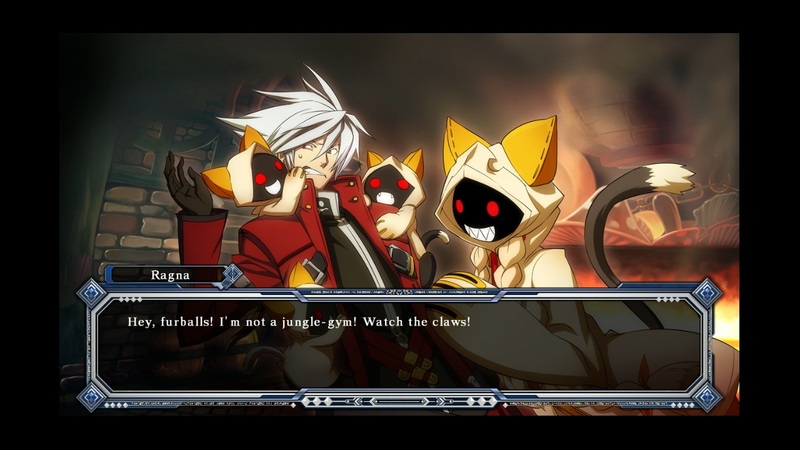 Even the BlazeBlue series, which are fighting games, have heavy elements of the genre. Why is Aksys so drawn to these types of games? Bo: Visual novels offer the experience of reading a book, but coupled with defined images and sound, creating a more complete experience. We feel it’s a relatively untapped genre here in the states and we enjoy localizing them and bringing them to our fans who so longingly want to play them. 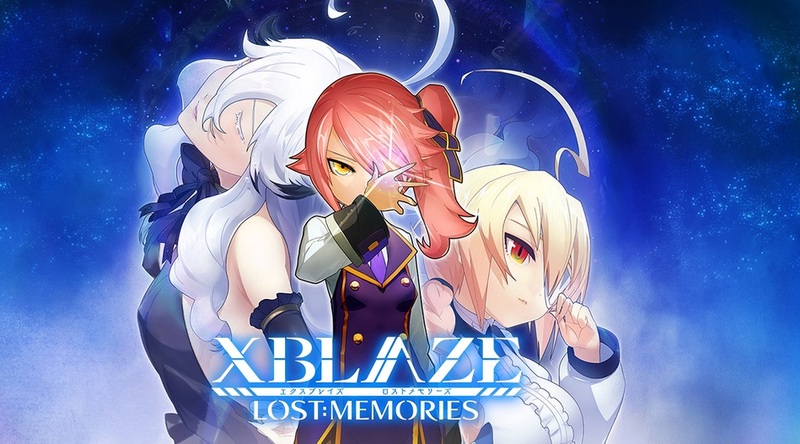 While games with Visual Novels elements are becoming more common, more Traditional Visual Novels like Xblaze Code: Embryo, Zero Escape: Virtue’s Last Reward and now Xblaze Lost: Memories are also becoming more popular. Why do you think this is? Bo: I think players here are hungry for games and worlds rich in lore and story, which visual novels provide. This lack thereof of the genre here in the states helps to fuel the demand and we hope to supply it as best we can. The sequel to last years’s Xblaze Code: Embryo, coming this Summer. Aksys seems to have seen a lot of success with Otome Novels such as Hakuoki: Memories of the Shinsengumi and Sweet Fuse: By Your Side. What makes the Otome genre stand out from your classic Visual Novel or Dating Sim? 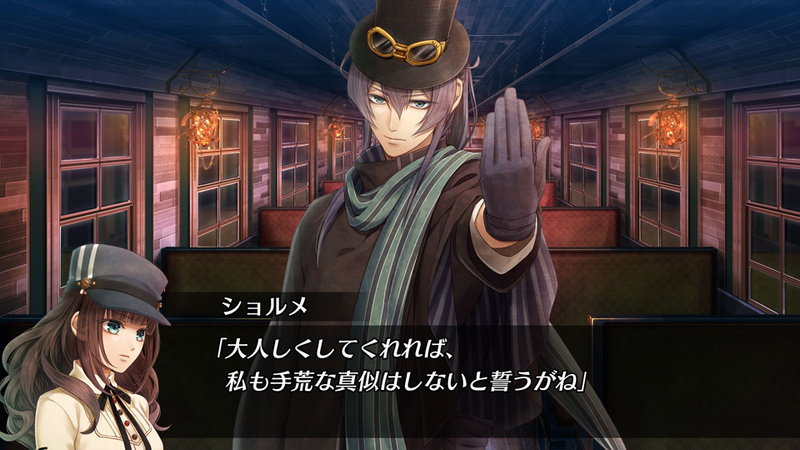 Bo: While visual novels usually give you the power of choice in some capacity, Otome games do the same, but also combine with it the element of romance along with multiple romantic options. This allows you to play and romance the person who you resonate with most, but also provides you the experience of interacting with a romantic option you may normally not have interacted with, providing the player with a new perspective. 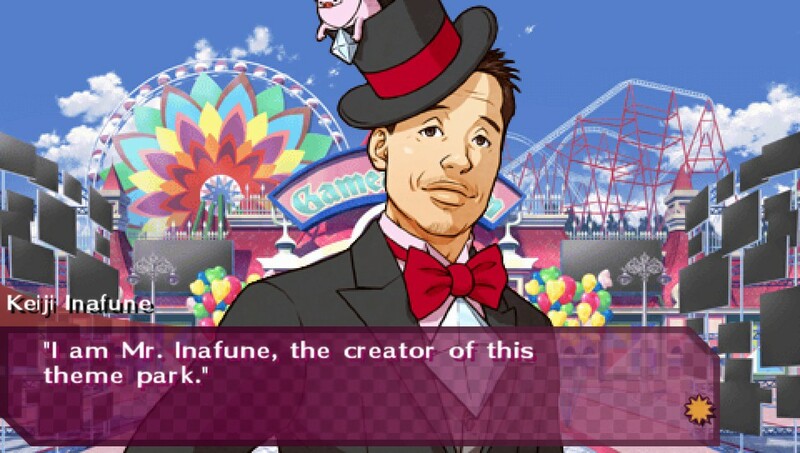 Yes, Keiji Inafune made an Otome game and yes, it is awesome. 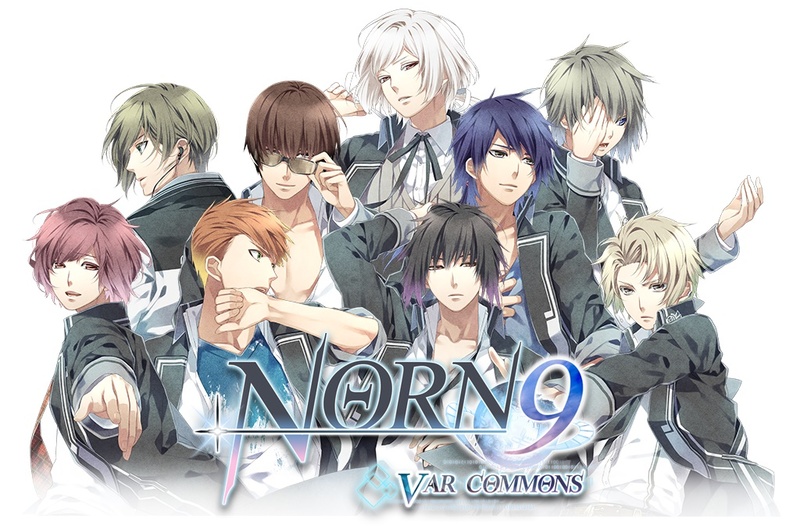 In particular is there anything special about Code: Realize and Norn9 that make the stand out? Also, with the plethora of Visual Novels that exist, why these two? Bo: Code: Realize provides a strong female lead, Cardia, but it also has Steam Punk influence and themes that you don’t normally see in visual novels. It also contains famous historical and literary figures as romanceable options, making it a unique experience that we loved working on. Norn9 also has an interesting spin on things with 3 female leads, each with 3 guys they can pursue. This allows the player to base their choice both on which heroine they resonate with and/or which guys are connected with which heroine. There are also various additional modes like Norn Quest and various mini-games, which offer great replay value. Can you touch upon the localization process at all? Such as, roughly how long does it take to translate a Visual Novel and are there any unique challenges the localization and translation process presents. Bo: It depends on the length of a visual novel. Some could be as short as 400,000 Japanese characters, while some can go over a million, so depending on that, the localization time varies greatly. Of course, there are certain turns of phrase, sayings, jokes, etc. that wouldn’t translate directly in English, so they have to be localized for an English crowd that would understand the intent. Is there anything else you have in the works you can speak about, or will you be announcing things at Anime Expo in a few weeks? Bo: There’s nothing we can speak about at the moment, but please be sure to keep an eye on us at upcoming events or via our official website and social media throughout the year. Who knows what we may have in store. Aksys Games will be celebrating 10 years during AX, stop by and pay them a visit. Is there anything you’d like to say to those gamers who have had an interest in Visual or Otome Novels and just never picked them up for some reason? Bo: For those that are intimidated by the amount of text, or lack of gameplay, I would say to fret not. Just like a good book allows you to take a step back and immerse yourself in its world, so too do visual novels. And if you’re worried that Otome games are “only for girls”, don’t be intimidated by that either. Otome games are excellent visual novels in their own right and normally the romance found in them is few and far between, as the primary chunk of the game is focused on the overall story, so don’t let that way of thinking deter you from experiencing a great game. Aksys Games’s website can be located here and if you’re going to be at Anime Expo this week consider stopping by their booth which is located be #1211 and their two panels. The first of which will be on Friday from 1:00pm – 2:00pm in Live Programming 4/Room 411 and will be a general games panel. The second which is The Art of Localization Re-visited will be on Saturday from 4:00pm – 5:00pm in Live Programming 6/ Room 402AB. If you van’t attend both panels will be streamed on Aksys’ Twitch channel which can be found here. Lastly, I’d like to thank Bo and Mina for their time and answering my questions.